BRAVO 9 TO 13mm PUSH IN TAPERED ADAPTOR - 5204046-20, TO FIT BRAVO 'MOTHER' FEMALE BAYONET HOSE ADAPTOR. 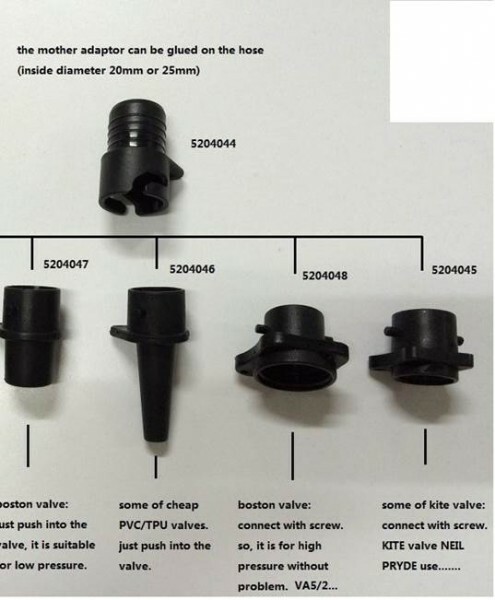 This is a push in tapered fitting, which has the 20mm Bayonet on the other end, which you will find as the standard end fitting on many Bravo Pump Hoses, like the BP20, BP101 and BP110 for example. It is also suited as a replacement for many other makes and models of pumps, which us the same 20mm 'Mother' hose adaptor with a 20mm I.D. If you need the 'Mother' hose fitting as well, you can also buy this from our site and the part number is 5204044-20. This is the model to fit all the 20mm I.D. flexible hoses, which are the most common Industry standard. There is as white Polyurethane sealing washer at the base of the Mother hose fitting to ensure that a good seal is maintained on all the selection of Bayonet fittings - it is important not to lose this or damage it, otherwise the Bayonet attachment will not be as air tight as it is designed to be.